Mark Gibson and Sally Russell both have more than 30 years experience in the practise and teaching of yoga. As yoga is an experiential art, science and philosophy, it is the teacher’s experience and wisdom that guides you in developing your practise, avoiding injuries and working with the conditions you bring to class. Mark and Sally are dedicated and serious about their practise which brings lightness and encouragement to students through their teaching. With an endless variety of sequences and pose adaptations, classes at Doutta Galla are always interesting and suitable for beginners through to advanced students and other teachers. 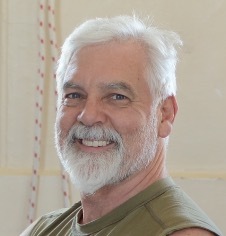 In the late 70’s, Mark’s interest in Yoga was ignited by his need to address a back injury. It was continued by the appeal of a non-judgemental philosophy that considered both body and mind in a practical manner. At this time yoga was definitely not mainstream and yoga mats were hard to come by, let alone all the props and clothing that today seem ‘necessary’. The focus was on practise and self development. Mark was fortunate to find Iyengar Yoga, a style of yoga that suited his practical inclinations. After several years he was encouraged by his teacher, the late Valda Moore, to begin a teacher training course. 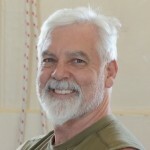 Mark obtained his certification as an Iyengar Yoga teacher in the late 80’s. 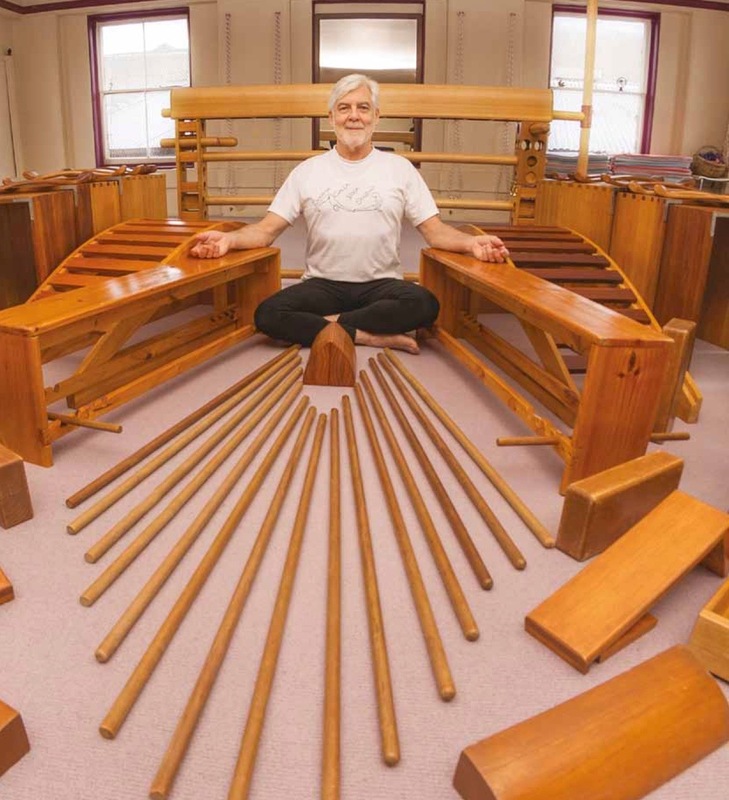 Mark taught at one of Melbourne’s first Iyengar Yoga schools, the Rathdowne Yoga Room, and eventually opened the Doutta Galla Yoga Studio with Sally Russell in the early 90’s. After many visits to India to study with Yogacharya BKS Iyengar, his daughter Geeta and son Prashant, he was granted a Senior Teaching Certificate in the mid 2000’s. Mark continues to teach at various yoga schools and retreats throughout Australia, including teacher training programs in Melbourne. See this four page article about Mark’s journey in the Australian Yoga Life magazine – AYL Injury to Insight. Before finding yoga, Sally obtained a degree in modern dance and women’s studies in the U.S. Sally started practising yoga in the ’70’s and found Iyengar yoga in 1980 with Pixie Lilas in Sydney. Sally started her yoga studies with Mark Gibson in the late ’80’s and continues as his student to this day. 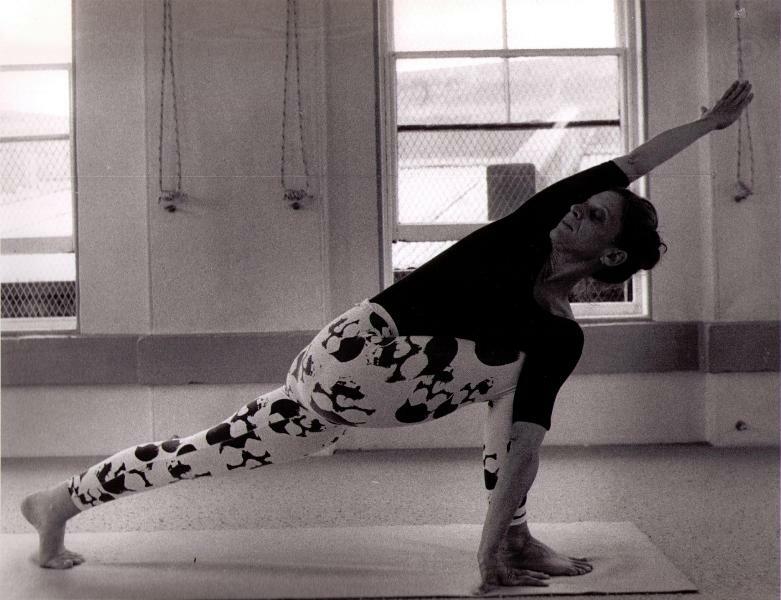 In the early ’90’s Sally completed her Iyengar teacher training. Sally and Mark founded Doutta Galla Yoga Studio in 1992. Sally’s practice has included silent retreats in the Krishnamurti tradition with Vimala Thakar as well as working with Yogacharya BKS Iyengar and Geeta Iyengar. 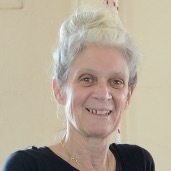 Sally is inspired by, and her teaching focuses on, the traditional Iyengar principles of structure, attention to detail, alignment and vinyasa (sequence).